If you think that where you grow up has to play a big role in what you end up doing, you’d have a very hard time convincing Sara Hastreiter of that. Sara grew up in Caspar, Wyoming, surrounded by farm animals and arid land and dreamed of one day competing on the rodeo circuit. She’d never seen the ocean. The closest one—the Pacific—was more than 1,000 miles away. So how did she get to be one of America’s top ocean racers? Well, that’s where her roots in the American West do play a role. Sara grew up not only loving the outdoors, but understanding that thriving in that world can require a lot of hard work and determination. If you know your way around bucking broncos and bull riding, then riding a 65-foot ocean racer might seem like a piece of cake. Except on a bronco, nobody is spraying you with ice-cold seawater, and bull riders only have to hang on for eight seconds. They also don’t take you anywhere. Compare to that the ’round-the-world Volvo Ocean Race that Sara Hastreiter competed in this past year—a 38,739-nautical-mile race (nearly 45,000 land miles) that took nine months to complete! How did she do it? Right after college, Sara went to the Caribbean to work as an intern on a public health project. She instantly fell in love with the sea. Every chance she got, she would head out onto the water, and it wasn’t long before her sense of adventure, her competitive nature, and her new love of the sea got her involved in sailing races. Sara is on the far left at the grinder, working with her teammates to trim sails. 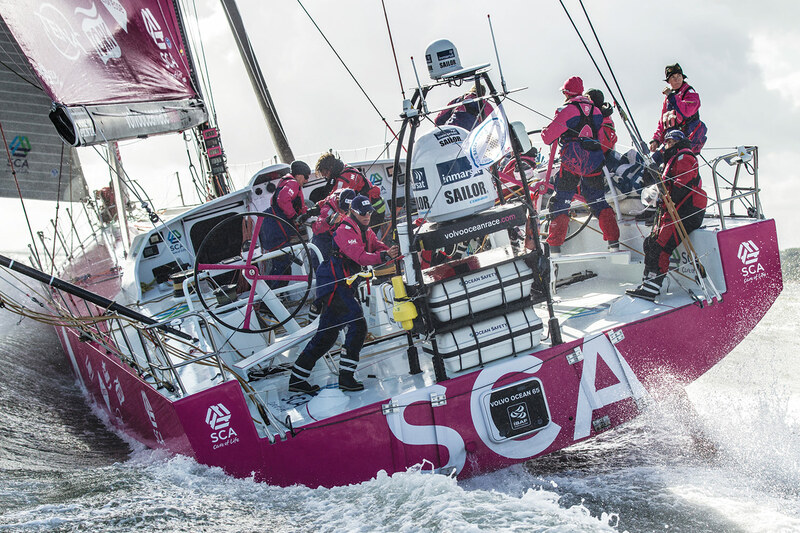 Photo by Corinna Halloran/Team SCA/Volvo Ocean Race. On the open ocean, the crew has to be able to fix anything that breaks. Sara and teammate Abby Ehler fix the starboard primary winch at night. 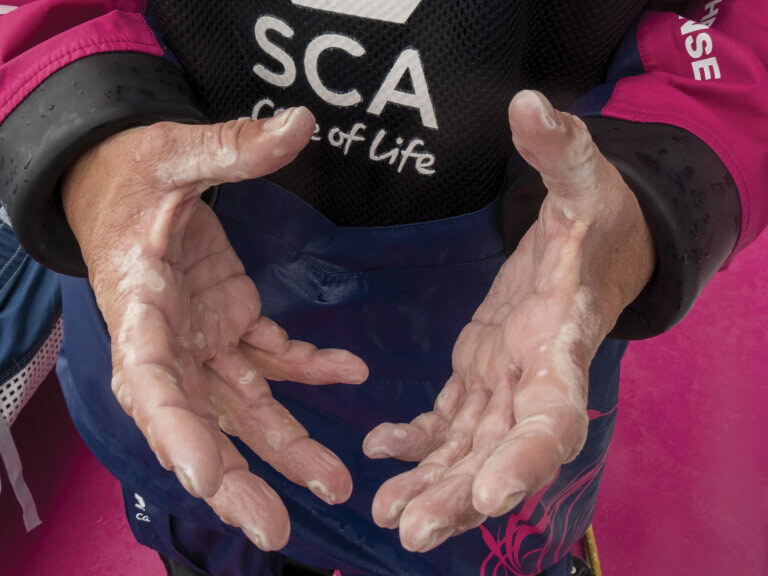 Photo by Corinna Halloran/Team SCA/Volvo Ocean Race. 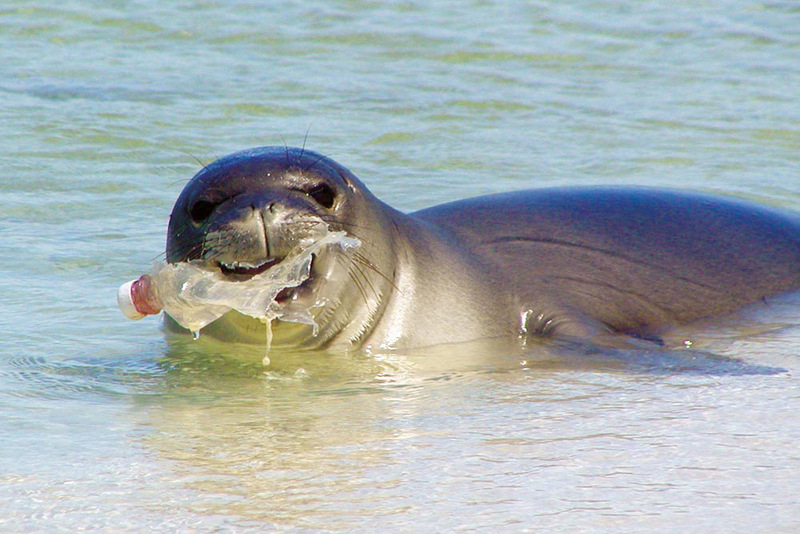 Sailing—especially offshore racing—requires physical strength and intelligence. Sara has both. But what you have to be able to show, more than anything else, is endurance. Physical endurance to not only survive, but excel, through years of training and months of racing in oftentimes difficult conditions. Psychological endurance is just as important when you have to keep working—no matter how tired you are—at the limits of your strength for those long races across the world’s oceans. Sara was so determined to succeed and got so good at it, that, when she finished her internship, she dedicated herself to becoming a professional ocean racer. “From the first time I heard about offshore racing, I knew it was something I wanted to do.” She raced a lot, trained a lot, and got jobs delivering boats, all while working towards her goal. 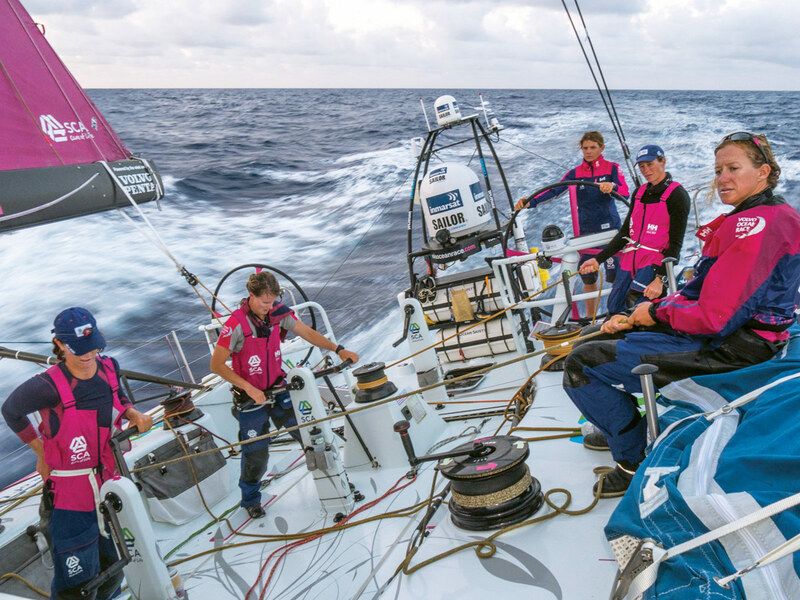 When it was announced that there would be an all-woman boat—Team SCA—competing in the 2014–15 Volvo Ocean Race, she was determined to make the team, taking on an application and try-out process that lasted two years. 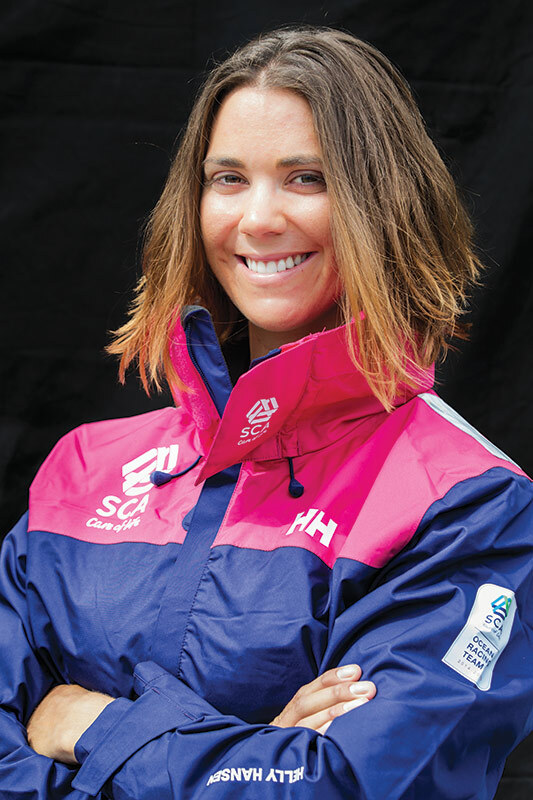 Once Sara made Team SCA, she trained for more than a year with the team ashore before the race even began. They spent a lot of time working out in the gym, learning how to fix things that might break while offshore on the boat, practicing sailing maneuvers, and getting to know each other and the boat that would take them across the world. Sara had to overcome a lot of obstacles to make it in the competitive world of offshore sail racing. But overcoming obstacles? For her, that’s all in a day’s work—whether what she is riding is a 1,700-pound horse or a 27,000-pound ocean racing boat. 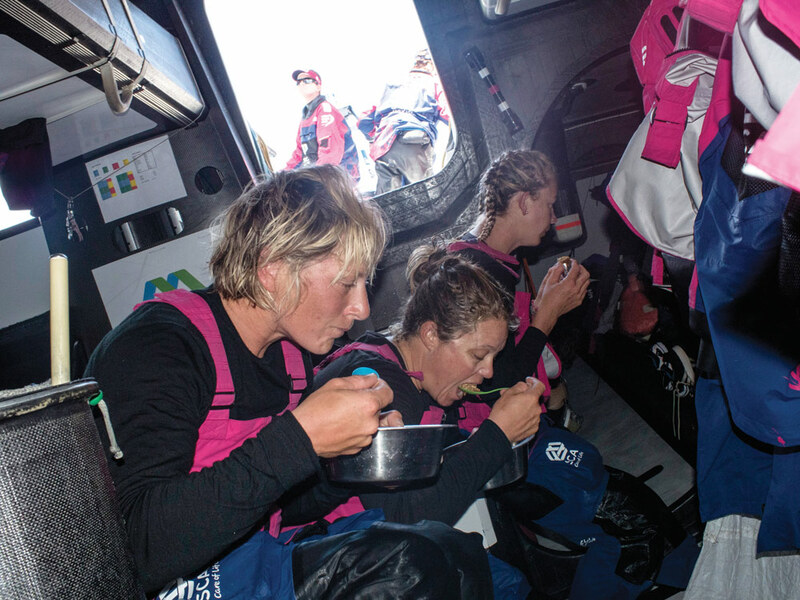 As thrilling as it is to crew on an offshore racing vessel, day-to-day life is challenging. They eat freeze-dried food for all their meals and high-protein snacks like energy bars, yogurt, chocolate bars, trail mix, and coffee—lots of coffee. Constant exposure to weather and salt water takes its toll on their hands. Hauling on lines and cranking on winches with blistered hands is something they just had to learn to deal with. They say a true sailor can sleep anywhere and at any time she’s permitted. 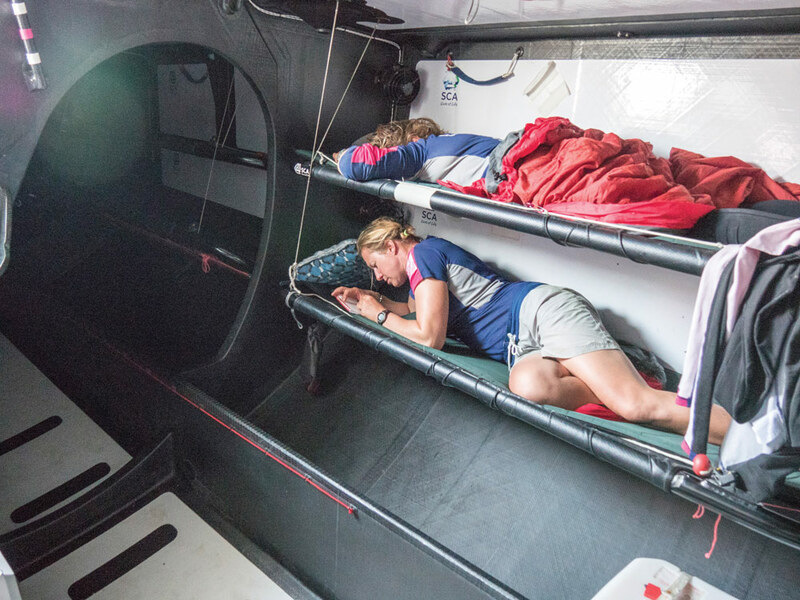 The Volvo Ocean Race boats don’t allow much room for spacious places to sleep, but their bunks were at least a place to lie down and relax when off watch.